Oliver arrived a week before the contest on Rügen Island already and installed a lot of additional antennas, all the equipment, etc. 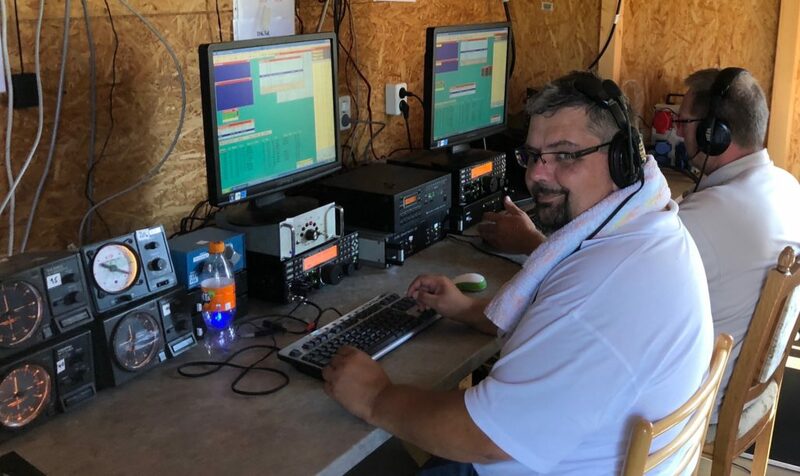 Their yearly IOTA activity is hosted by Andreas, DL1KZA, and his father Burkhard, DL3KZA, plus families on the property of DL1KZA. 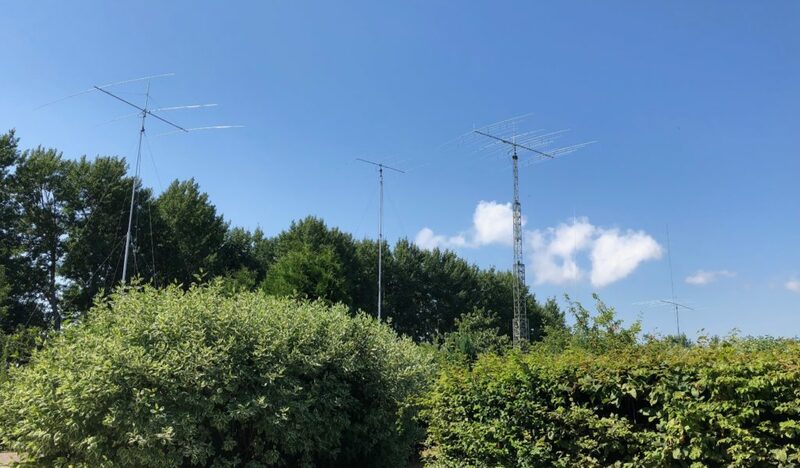 During the years they’ve installed a number of towers which either hold permanent antennas like the big Optibeam or can be used for additional antennas like the 3 ele 20 m, 6 ele 15 m and 4 ele 10 m that Oliver, Andreas & Burkhard errected before the contest. A rotatable dipole for 40 m and a dipole for 80 m SSB (besides the 80 m CW groundplane permanently there) rounded off the great antenna setup. I arrived late Friday evening and met the whole team for the first time at Burkhard’s after they had finished barbequeing. Besides Oliver, Andreas & Burkhard team members were Falk, DK7YY, whom I’ve been knowing for ages, too, as well as another Oliver, DJ9AO, and Jürgen, DL7UVO. The team placed #1 World M/S HP from that location in 2014, 2016 & 2017 so expectations were quite high! This year we were going to use DK3R as a new club/contest call with IOTA reference EU-057.